Last Sunday I went to ‘An Introduction to the School of Life’, an event that was part of the Ideas at the House programme. The School of Life is an enterprise founded in 2008 by philosopher Alain de Botton. It is based in Central London and offers a range of programmes concerned with how to live wisely and well. The School of Life recently released six books, and the authors of two of the books were speaking at this event. 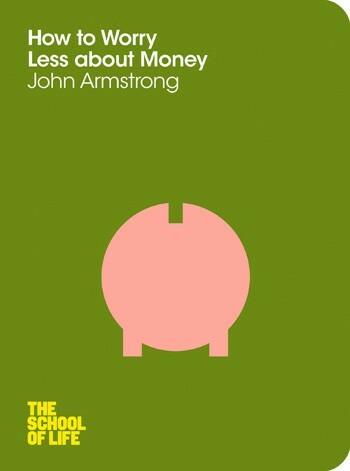 While I had an interest in Tom Chatfield’s How to Thrive in the Digital Age, it was the presentation from British writer and philosopher John Armstrong on How to Worry Less About Money that really caught my attention. One of the first things that Armstrong said was that it is important to distinguish between money troubles (being short on cash) and money worries, which is more than a cashflow issue. He said that our relationship with money is lifelong – we come into the world to parents who were worried about having enough money for us before we were even born. Envy is at the root of our money worries. 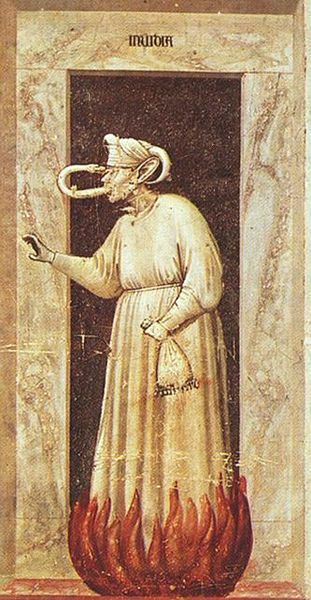 “It’s not surprising that cultures have told us very dangerous stories about it,” said Armstrong, giving Giotto di Bondone’s painting, Invidia as an example. Envy is commonly known as one of the Seven Deadly Sins of the Catholic Church. What do our money worries really mean? “We like to think that the solution to envy is more cash,” said Armstrong, but “we can learn from our worries.” He said that we can “extract bits of knowledge and self-guidance” by asking ourselves: What does it really mean? Most financial advice is centered either getting by with less money, or making a whole lot more money, assuming that the amount we need is just ‘more, more, more!’ and not qualifying why. Money advice is centered on money troubles, not money worries, and as such, doesn’t take into account the deeper underlying relationship that we have with it. The question, “How can I get more money?” should ideally be asked after we think about how much money we need and what we need it for. It is only when we come to terms with our underlying goals and desires that we can have a relationship with money that instead of centering around envy, focuses on on a healthy sense of achievement and dignity.